Can you imagine driving your car in 95-degree heat with a non-functioning air conditioner? Or, what if your heater stopped working in the dead of winter during a long and icy drive? These miserable and potentially dangerous situations can be quickly remedied with a little help from Seeburg Service Center. 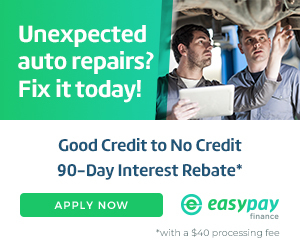 Our expert auto technicians have the tools and talent needed to tackle all of your car’s climate control repairs. Seeburg Service Center’s ASE-certified mechanics know how to correctly diagnose your vehicle’s air conditioning system with a performance check that includes a close inspection of the compressor, condenser, hoses, lines, and belts. Additionally, we can perform a dye injection test, which will tell us if there are any leaks in your car’s A/C system. If necessary, we will also evacuate and recharge your system with Freon to help you keep your cool in the summertime. A heater can malfunction for a number of reasons. Whether your vehicle has a worn out thermostat, an issue with the blower, a damaged radiator, or a broken heater core, Seeburg Service Center’s talented auto technicians will thoroughly check the heating system to find the problem and correct it. Your vehicle’s A/C relies on three main parts: the compressor, the condenser, and the evaporator. The refrigerant is drawn into the compressor in a gaseous form, where it is placed under pressure and forced into the condenser. The air flowing within the condenser helps cool the refrigerant down and turn it back into a liquid. Finally, after another shift back into gaseous form, the refrigerant moves out of the evaporator, where it vaporizes and absorbs the heat from the air. Fans push the air throughout the car to cool the interior. The heater, on the other hand, uses a radiator called the “heater core.” This component takes coolant and then pumps it through the engine to prevent overheating. After that, the engine warms the coolant and the very hot liquid flows through the radiator, where the heat is absorbed by the flowing air. When you turn on your heater, the coolant flows from the engine to the heater core, where a fan will blow it through the core and out the vents so that it can warm the interior of the car. 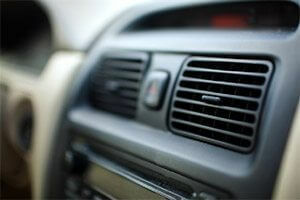 Never take your car’s heating and cooling systems for granted! Not only do they provide us with great comfort during both long and short drives, but they also keep us safe. After all, overheating can be a great concern in some areas of the country and a car’s defroster improves the driver’s vision and safety. So if you’ve been having trouble with your air conditioner or heater, call Seeburg Service Center today. We offer affordable and effective repairs, and we are determined to provide you with a level of service that will surpass your expectations. Our locally-owned shops operate in Springfield (MO), Fayetteville (AR), Springdale (AR), and Rogers (AR). To get started, please call the location nearest to you or schedule your appointment online.